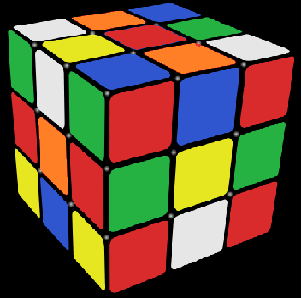 It's easy to 'scramble' a Rubik's cube so no squares of the same color are touching each other. The moves U2 D2 R2 L2 F2 B2 accomplish that. 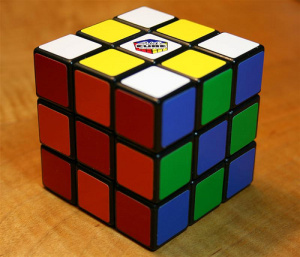 The question is: Can you 'scramble' a cube so there are no squares with the same color nearby in all sides? Now that I look at Bennett Bernardoni's answer, it seems to be doing exactly the same thing, except using face turns only. after that all positions are just symmetry, in fact these 6 configurutions are related in symmetry too to one another, but just to show the possibilities , I have illustrated them. Not the answer you're looking for? Browse other questions tagged rubiks-cube magic or ask your own question. What is God's Number for the Rubik's Picture Cube?